A proposal by a Southern Arizona lawmaker could make it easier for groups to propose their own state laws and constitutional amendments. 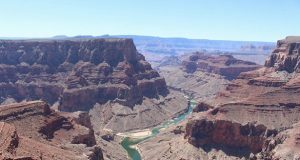 In a major victory for environmental groups and the Havasupai Tribe, the U.S. Supreme Court on Monday rebuffed a bid by mining interests to overturn a 20-year ban on extracting uranium from about a million acres around the Grand Canyon National Park. Water is life. Its management is a state trust responsibility. In Arizona’s arid environment, rivers, streams, and springs are vital to sustaining a diversity of plants and animals and are tied to the well-being of human communities and our state and local economies. Recent allegations against Arizona State Parks Director Sue Black could complicate Gov. Doug Ducey’s plan to get rid of the State Parks Board and give more powers to her.